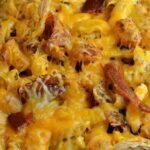 There is nothing I love more than a good flavorful casserole, and that is what you will find with Instant Pot Cracked Up Chicken and Broccoli Casserole. What makes this dish so unique is I incorporated one of my most popular recipes, crack chicken. The reason it is called this is that it is super addictive, and I guarantee for any chicken lover out there, one bite will have you addicted. Chicken and Broccoli casserole is so good, I mean this is absolutely delicious. I whipped this up the other day, and we ended up eating the leftovers at lunch and it was just as good. I love dishes that have a great reheat factor, so we can utilize and eat up all our leftovers before they go bad. 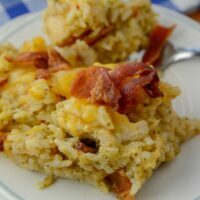 This instant pot chicken crack casserole is one to give a try. 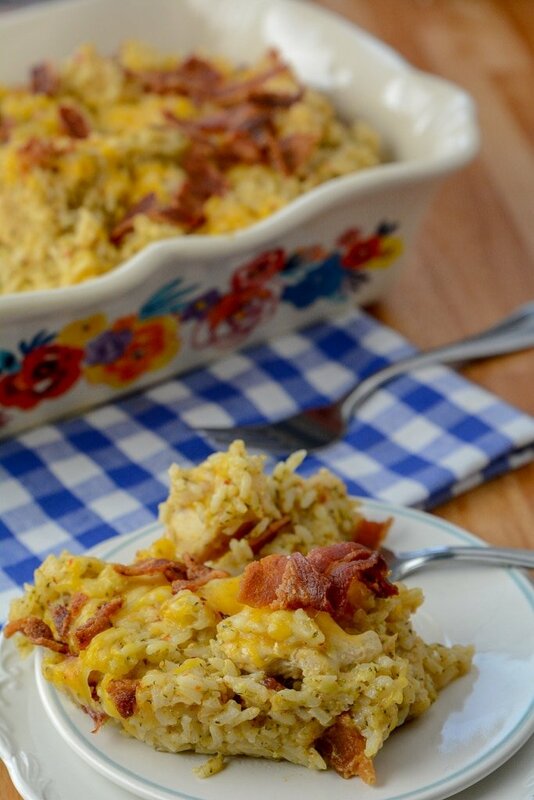 If you like rice and chicken, I am pretty confident you will devour this chicken casserole. My Instant Pot Cracked Up chicken and Broccoli casserole is anything but plain. Filled with moist and tender chicken, ranch, cheese, broccoli rice, and of course bacon. Isn’t everything a bit better when it has bacon as an ingredient? 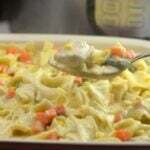 This casserole makes for a perfect dinner, potluck dish, or take to a friend in need. I love casserole dishes like this to give to friends and loved ones who may have just had a baby, surgery, or are laid up and need some tasty dinners. Whip up a crisp green side salad or dinner rolls and you have a complete meal ready for your loved ones or friends. If you have kids this is a perfect way to sneak in some vegetables without them even knowing what they are eating. Broccoli is so nutritious vegetable that is great to incorporate into your meals. Broccoli is filled with potassium, fiber, and vitamins K, and C. Making sure you get enough vitamin C in your daily diet during cold and flu season is imperative. This year the flu has been horrendous so making sure to create wholesome meals that will help protect your family is a must. This chicken casserole is so simple to whip up, and flavorful the whole family will be fighting over the last few scoopfuls in the pan. There is nothing I love more than a good flavorful casserole, and that is what you will find with this Instant Pot Cracked Up Chicken Broccoli and Rice Casserole. Place raw chicken pieces in the instant pot on saute. Cover with ranch seasoning packet. add rice, water, and frozen broccoli. oh my goodness this looks amazing! i need an inst apot so bad! This was excellent! We replaced cream cheese with Greek yogurt, and used skim milk. This was my first meal in the Instant Pot, and it was delicious and easy! One thing to note is that this recipe is calling for 2 cups of *uncooked* rice to be added at the beginning. Thankfully this is how I proceeded 🙂 I will also use more broccoli next time! This also passed the exceedingly high standards of an 11 year old boy with very stringent taste preferences- the broccoli even flew under his radar. Is it a quick realease? And can it be doubled? Thank you for this recipes I’m making i tonight!! I’m new to the instant pot. If I use frozen chicken, how would I adjust the cook time? would be the same time but it will take longer to come to pressure 🙂 I hope that helps. Going to try this for the first time tonight. 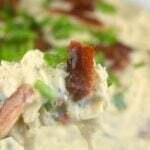 Just want to verify you have made a double portion of this recipe in your instant pot? I’m not sure if I need to double to have enough to feed 6 adults. If double, does cooking time need to be increased? I am a brand new IP user so please forgive me for the dumb question…do you use the trivet for this or just put everything in the pot? I tried this tonight and used frozen chicken. I left the broccoli out because we like our broccoli a bit crisp and 12 minutes seemed like it would be too soft, unfortunately at the end of the 12 minutes the chicken still had raw spots in the middle, and the rice was scorched to the bottom of the pot. I was wondering if your rice cups are standard measuring cups or the rice measuring cup? Maybe that’s where things went wrong and using a standard measuring cup meant the 2 cups of water weren’t enough? I agree about the broccoli. I used a standard measuring cup but mistakenly went with instant rice. It turned out gooey. Now I know. I did this recipe with standard measuring cups for the rice and liquid. I used chicken broth for the liquid though. The broccoli is supposed to “disappear” into the dish if you look at her photo of the finished meal. Did you change your pressure setting to low? If you left it on high pressure (default) that would be why the rice scorched. I followed the recipe exactly as printed and had a major fail. The rice scorched on the bottom of the pot so it wouldn’t come to pressure. I added one additional cup of water and scraped the bottom of the pan and reset it. The silver dot popped up but when I did a qpr I could tell that it had not fully come to pressure. Any idea what could have gone wrong? i am sorry I don’t know 🙁 it worked on mine and for others sometimes the IP has a mind of it’s own. Hi, this is Nawnie1, i am kinda new to the PC mine is the pressure cooker XL, and it come with a Stick on insert, not the stainless steel every one shows!!! So any thing like this recipe sticks so bad it turns me away from cooking in it!!! Have sprayed it , have used shortening, to know use!!! What do you suggest? Thanks in advance. Making this recipe for the second time tonight. Made it at my mother in law’s over the weekend, and same issue, rice scorched to the bottom, raw chicken and never comes to pressure. Added the extra water, resealed it, still not coming to pressure. Same issue with it tonight, so I just put my silicone steamer basket on the bottom, I will let you know if it worked! Steamer basket ftw! Worked wonderfully and now I can feed my hungry family! LOL so sorry that happened too you. Thanks for the tip on the steamer basket. Where do you find a ranch packet? Should be in the salad dressing isle next to the packets for Italian dressing. Would it taste the same if I used fresh broccoli instead of frozen and if so how would I need to adjust the cooking time? Flavor was good but next time I’ll just cook the rice separately because it didn’t fully cook. The frozen chicken came out perfectly though. Broccoli was perfect if you like it falling apart. How long did you cook yours for using frozen chicken instead of thawed? Help! I am new to the Instant Pot and I tried this tonight and my rice scorched on the bottom…What did I do wrong???? I am not sure 🙁 sometimes that happens to me also but it did not with this one. Maybe soak the rice for a while? i made this this weekend and it was good but there was to much rice for my family can i cut the rice in half and doing so would i cut the amount of water in half also? I would also like to know if I can use less rice. Can you recommend how to change the recipe. I am a newbie who has only used the pot once. Thanks so much! White rice or brown rice? We have switched to eating brown rice, so I’m wondering how to adjust this recipe for that. Can you use instant white rice? This turned out great for me, but next time I will saute some onion to go in it and cube the chicken before cooking. This had a good taste, but mine came out super watery. It was more like a soup. I did my rice seperately, so maybe I should have adjusted the water. I definitely would try it again! Did you leave the breasts whole or did you shred them? This was quick, easy, and delicious! I only used 4 oz of cheese and it was still great. Definitely will do this recipe again. Thanks for sharing! I was just curious can you omit the rice all together ? Would you still need the two cups water ? I was wanting to introduce my adult daughter to the quick & easy convenience of preparing delicious meals using the Instant Pot. So, I searched Pinterest for just the right recipe ~ & this one was perfect! All I had to do was tell her the correct order, as she placed the ingredients straight inside the Pot. (Following another commenter’s example, we did substitute the cream cheese with plain Greek yogurt & regular milk with nonfat.) Then we set the Instant Pot timer for 12 minutes, & in no time everything was cooked. It all turned out perfectly, so all I had to do was finish it off with the cheese, milk, & store bought ready-cooked bacon… and viola! Dinner was served ~ it was amazing! 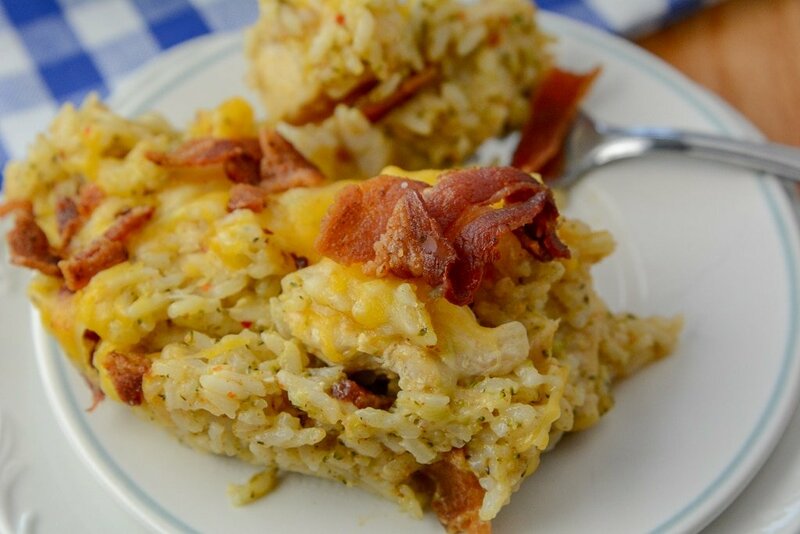 This Cracked Out Chicken & Broccoli Rice dish is oh so simple, easy, & to die for delicious! Thank you for a wonderful recipe! Is it okay to use instant rice? Want to make this tonight and that’s all I have on hand. Brown rice, 4 cups of frozen broccoli (1 bag) and only 8 oz of cheese. Because of previous comments about the rice sticking, I went in this order: 1/2 cup of water, my cut-up chicken (2-3 pieces per breast), Ranch, cream cheese, rice and broccoli. Then I added the rest of the water. I even got distracted and didn’t quick release and and it was on “keep warm” for 17 minutes before I opened it! The rice was almost mushy, but other than that this recipe was very delicious! Made it tonight and followed the directions exactly except I used half of the cheese and accidentally forgot the bacon. The family loved it. Will make it again. Can I use frozen chicken breast? And what if I have 1.3 pounds of chicken? Will the time or heat change for either of these? Santa brought an instant pot. This is the 2nd recipe I’ve tried! It was awesome. Omg! Made this with ham instead of bacon and the family devoured it! Thank you so much! I’d up the cooking time to 20. Mine was not done at 12. Delicious though!! Made it today. Delicious flavor. I used frozen cauliflower rice in place of the rice, but would reduce the water to 1 1/2 cups next time. Also my cream cheese stayed in a block so I’d probably bring that to room temp or pre-soften. I was able to stir it in somewhat even as a chunk. Thanks for the recipe!! I’m going to cook my rice separately, should I adjust how much water I put into the IP? Husband and kids loved this. I thought the rice came out a little sticky. Do you rinse your rice first? I made this last night. I used frozen chicken breasts. My grandkids loved it. My 7 year old grandson said it was the best chicken and rice he had ever eaten! : ) My husband and I thought it was just ok. It was probably my fault. I did add a few tablespoons extra water because other people said their rice scorched. My rice came out gluey so that must not have been the right answer. I don’t think I added enough cheese, either. I plan to try again. Next time I may make the rice separate and add a bit more broccoli and cheese. What should I set the pressure valve to while cooking? Sealing or venting? Super good . Husband and kids loved it ! When you use the rice button, do you have to still adjust it to low? Thanks! The ratio between the rice quantity and remaining ingredients is way off on this, there’s too much rice resulting in a overly thick, starchy blob of food that is somehow still flavorful. I’d like to see this reworked with less rice and maybe put under the broiler with a buttered Panko or breadcrumbs after the instant pot cooking. I would also recommend cutting the chicken up in smaller pieces if the breasts are overly thick. Made this last night and it was a hit! Just a few notes. I found it was too dry, so added about an extra cup of water after I released the pressure. I left the IP on “keep warm” to let it absorb. Also – for whatever reason, I forgot to put the broccoli in, so just steamed it in the microwave and stirred in at the end. Next time I will try with 3 C of water (or perhaps chicken stock or a water/stock blend for more flavor). I also added a healthy dose of fresh black pepper. Will definitely make again! Just cooked this tonight. Came out great. I followed the recipe exactly except I used fresh broccoli florets instead of frozen. The broccoli was really soft but my hubby likes it that way! Everything cooked well but we thought it was a bit bland. Tasted good but needed a bit more seasoning we thought. Thank you for the recipe. I see other people commenting on the cream cheese but I don’t see this in the ingredients, am I missing something?? I was just thinking the same thing! I know there’s cream cheese in crack chicken but I don’t see it in this Cracked Up Chicken and Broccoli recipe. Also, for all the people saying their rice scorched, I’m thinking it’s possible they forgot to use low pressure. I followed the recipe and watched the video and mine came out fine. The video shows the chicken is cut up and sauteed so all the people saying their chicken wasn’t done had to have left it whole and raw. I made this last night for dinner (minus the bacon since I didn’t have any and minus the broil step. Just added all of the cheese plus a little cream cheese, stirred to melt and ate it from the pot). We loved it! Rice came out a tad overdone so I’ll reduce cook time to 10 min next time since it takes 2 min to QR. I used chicken broth instead of water and it was very tasty! Thank you for this recipe! Some of the comments mention cream cheese but I don’t see it listed in the directions. Should the recipe include cream cheese? I’m confused, usually there is cream cheese in crack chicken and I don’t see it list in this recipe. Is that correct?